Gdansk, Gayery "Ona Lubi Dance"
I've found the song "Ona lubi dance" by Gayery. 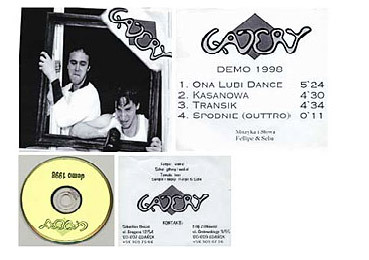 Me and Sebe - my close mate/bro wrote, recorded and produced that sounds in my flat in Gdansk in about 1998 on my pc with 1GIG HD. He is the link - feel free do download (7mb). It reminds me when I was 20 something, sitting with Seba back home with the guitar, Arizona wine and bloody good vibe. That was our song writers' unlimited world. Zillions of ideas and sounds in our heads.